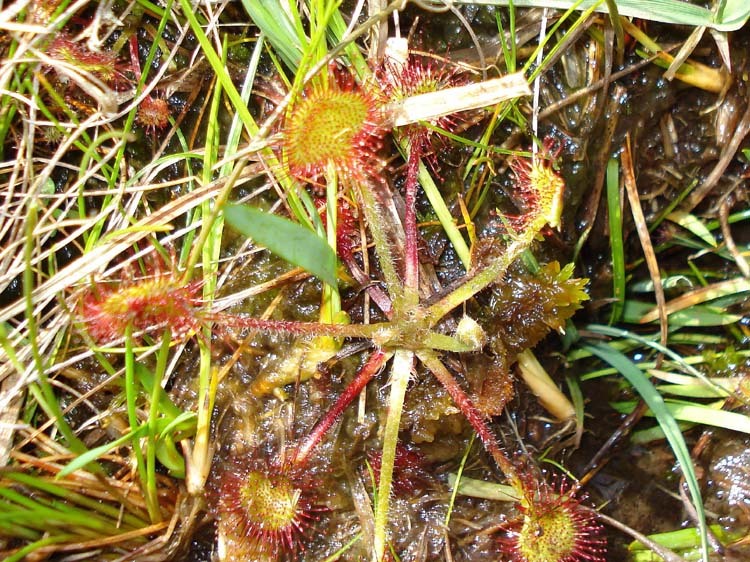 This walk: 2008-6-3 (3rd June) - High House Waste, lower-slope boggy area. 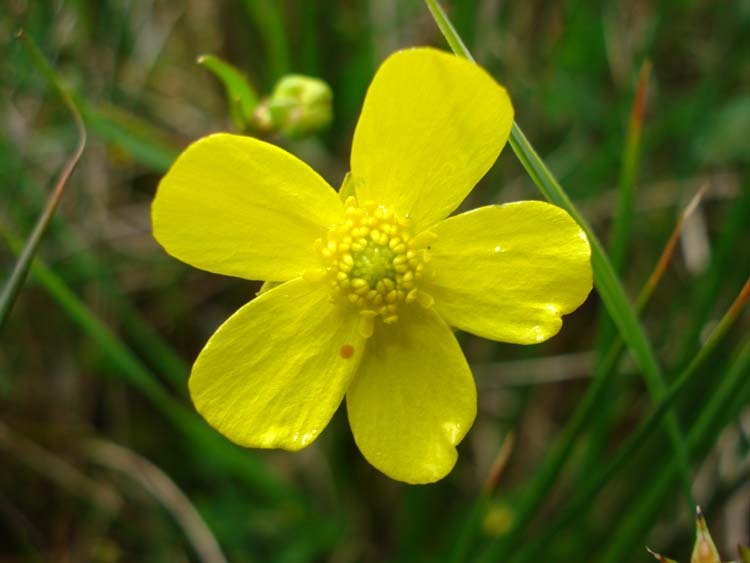 A botanical walk with Dartmoor Preservation Association. There are some photographs of the area on an earlier walk - 2008-2-6 - East Rook Gate. This is simply a page with a few flower photographs taken on the day. The identifications are believed to be good but any help would be appreciated, via the email contact page. 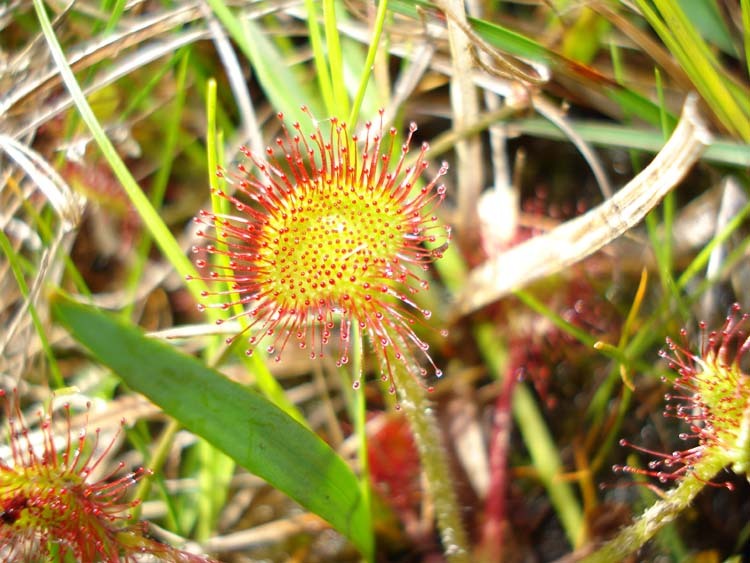 Drosera rotundifolia - Round-leaved sundew (an insectivorous plant). 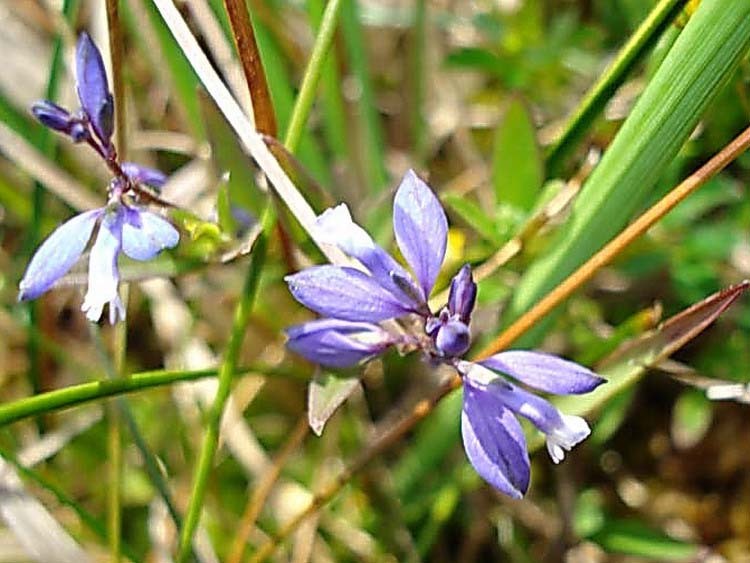 Polygala serpyllfolia - Heath milkwort. 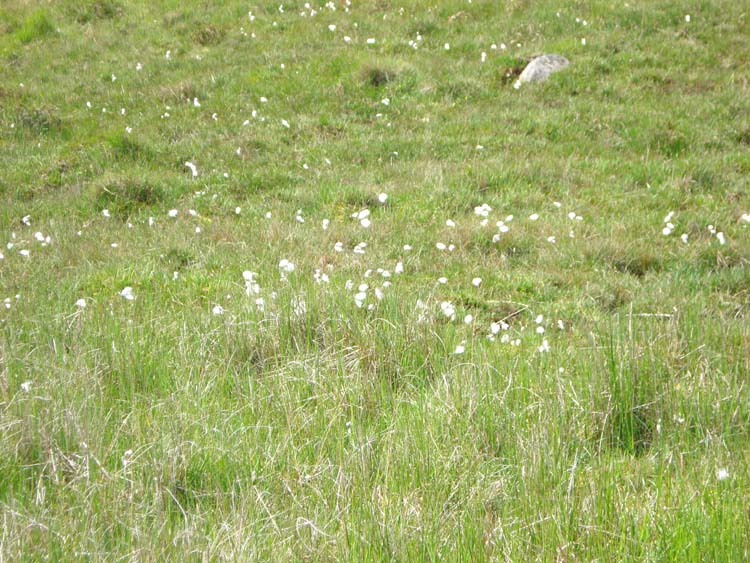 Eriophorum augustifilium - Common cottongrass. 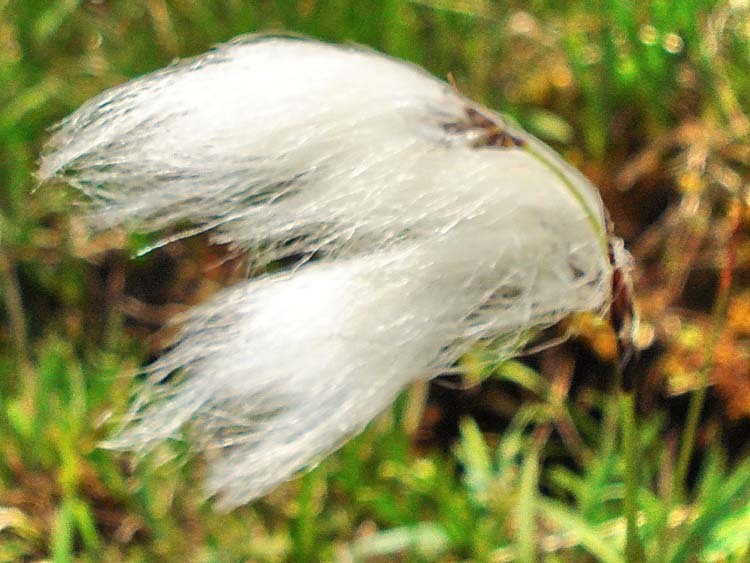 Eriophorum augustifilium - Common cottongrass. A wider view. 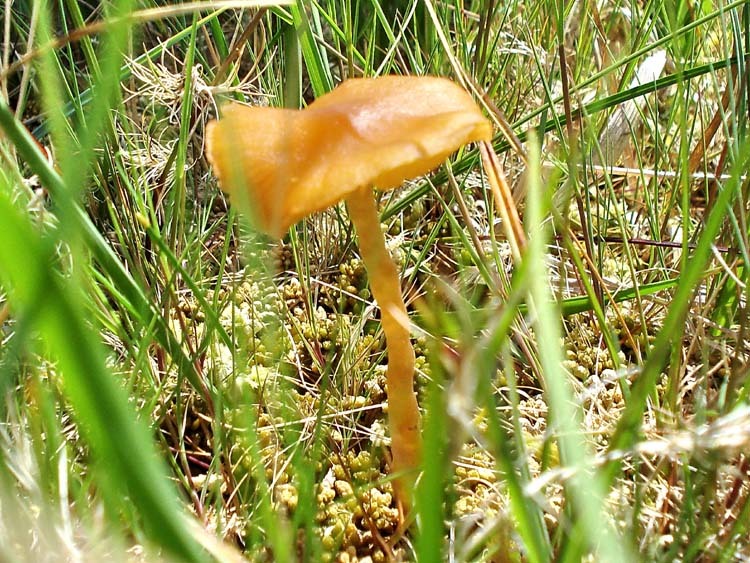 An unidentified fungus, in June! 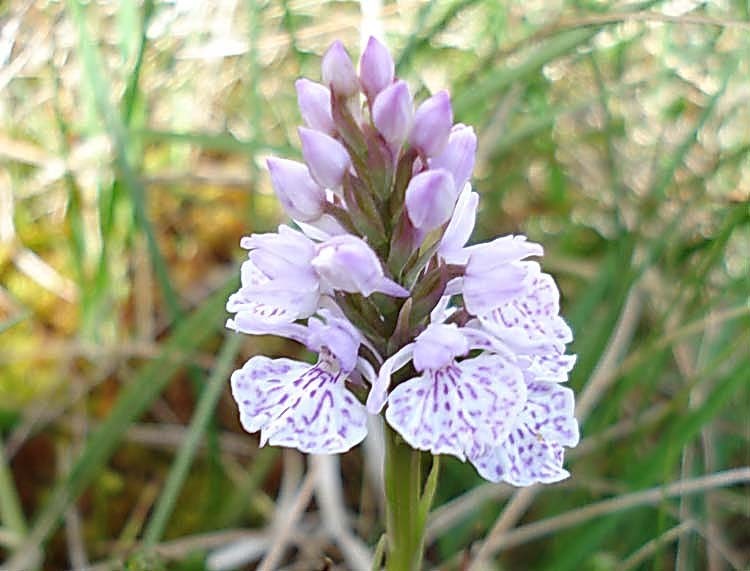 Dactylorhiza maculata - Heath spotted orchid. 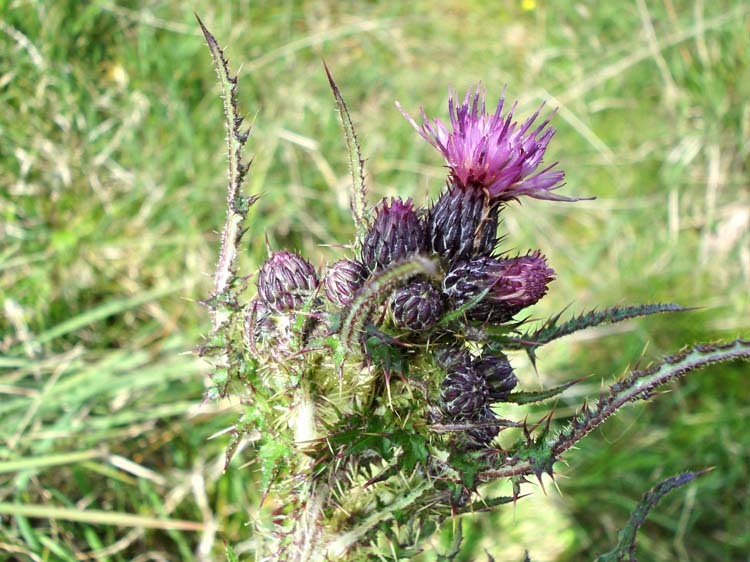 Cirsium palustre - Marsh thistle. 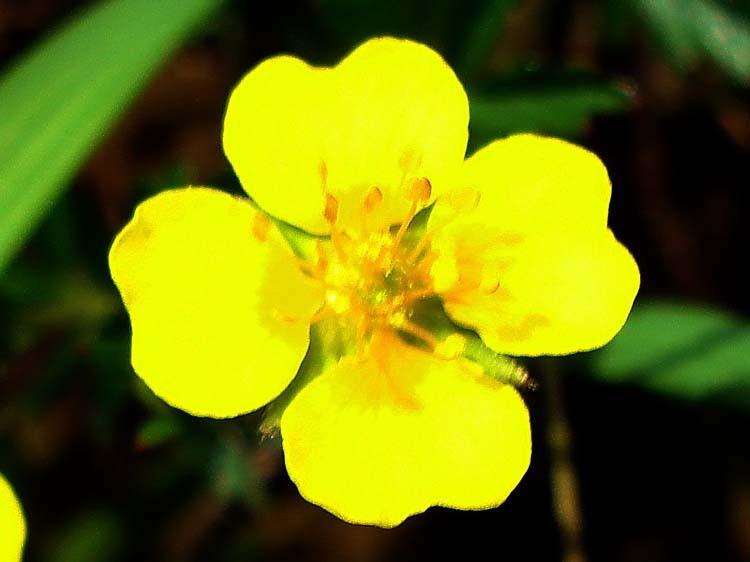 Ranunculus flamula - Lesser spearwort. 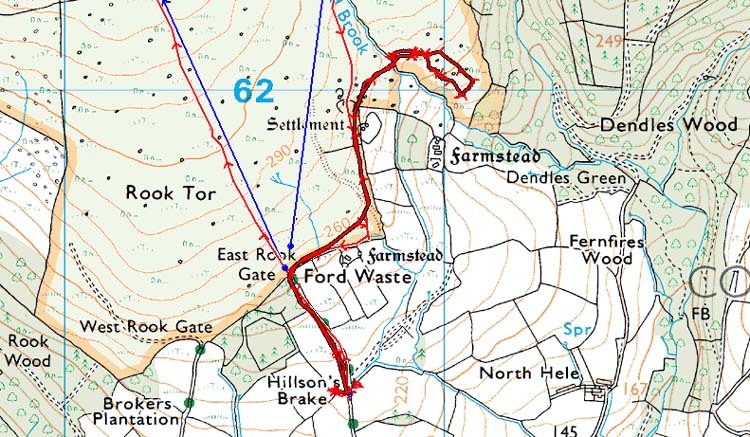 Access was via Cornwood, taking the road towards Torr. After leaving Cornwood, take the first road on the left, Rook Lane, followed shortly by a sharp right and then a left bend. Later, a bend right at East Rook followed by a left bend, then continue straight, ignoring a right turn to Hele Cross/South Hale. NOTE - Rook Lane is as narrow as a road can be! There is only room for perhaps two/three cars to park comfortably on the verge at the end of the lane before you enter the stream and rough ground beyond.